This is King Crimson's most difficult album to really get into. With it's free jazz embellishments and avant-garde tones, the jagged and abstract 'Starless and Bible Black' is really a little bit of a stretch for me. Don't get me wrong, some tracks on here are some of my favorite King Crimson material, but the tracks that aren't my favorites are very pointy and, for me, annoying. I can never listen to the title track or 'Fracture' all the way through. I wish I could. 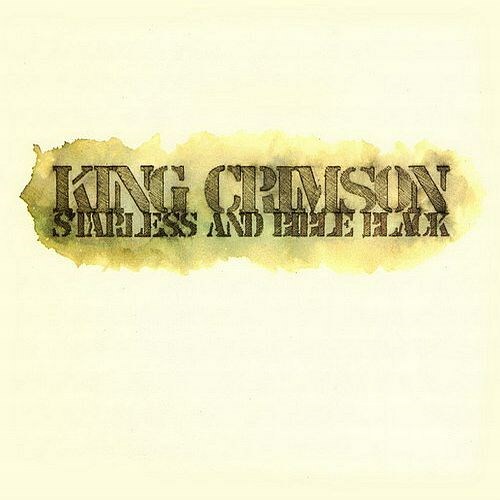 On Starless and Bible Black, King Crimson take a different approach to previous records. The tracks on this album are shorter and more accessible pieces, apart from the final two tracks which are both around 10 minutes in length. This album also features a lot of improvisational pieces that were recorded live and overdubbed in the studio, making for a unique listening experience. Following up Larks' Tongues in Aspic was going to be hard, but the band pulls it off. Purchasing Starless and Bible Black from Amazon helps support Album of the Year. Or consider a donation?